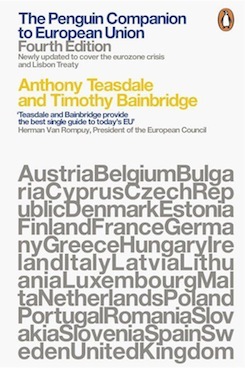 Anthony Teasdale is co-author of The Penguin Companion to European Union and has worked as a political adviser and civil servant in London and Brussels. Anthony took at a first in PPE and an M. Phil in Politics at Balliol and Nuffield Colleges, Oxford University. He served as Special Adviser to the Foreign Secretary (Sir Geoffrey Howe) at the Foreign and Commonwealth Office and to the Chancellor of the Exchequer (Kenneth Clarke) at HM Treasury, and has worked in the general secretariats of both the EU Council of Ministers (EcoFin Council) and the European Parliament. From 2002 to 2006, he was Head of Policy Strategy and Legislative Planning for the EPP Group in the European Parliament, and director of its think tank, the European Ideas Network. More recently, from 2007 to 2009, he was Head of Political Strategy and Governing Bodies in the Office of the President of the European Parliament (Hans-Gert Poettering), and from July 2009 to January 2012, Deputy Chief of Staff to the President of the Parliament (Jerzy Buzek). He is now a Director in the Directorate-General for EU Internal Policies in the Parliament's administration. Anthony has also been Gwilym Gibbon Research Fellow of Nuffield College, Oxford, and Lecturer in Politics at Corpus Christi and Magdalen Colleges, Oxford. He is currently Visiting Senior Fellow at the European Institute of the London School of Economics (LSE) and Visiting Professor in Politics at the University of Buckingham. He speaks widely on European political and institutional issues, having published articles in Political Quarterly, Government and Opposition, Electoral Studies and the Journal of Common Market Studies. 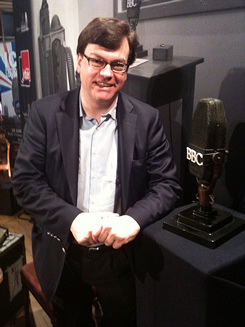 He was co-author with Timothy Bainbridge of the first edition of The Penguin Companion to European Union (1995), a role he has resumed for the latest edition, published by Penguin Books in September 2012.